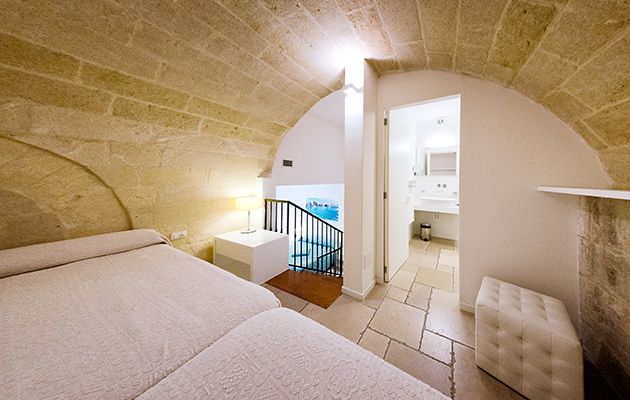 The Hotel San Giuseppe is located in Otranto, the most eastern town of Italy, only 100 meters from the historic center and 500 meters from the beach. 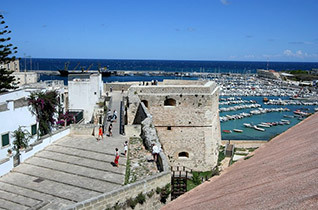 From the town of Otranto you can easily reach the other fascinating places in the area and set up a real tour of the southern Salento to visit, among others Gallipoli, San Cataldo, Torre dell’Orso, the lakes Alimini and Santa Maria di Leuca. 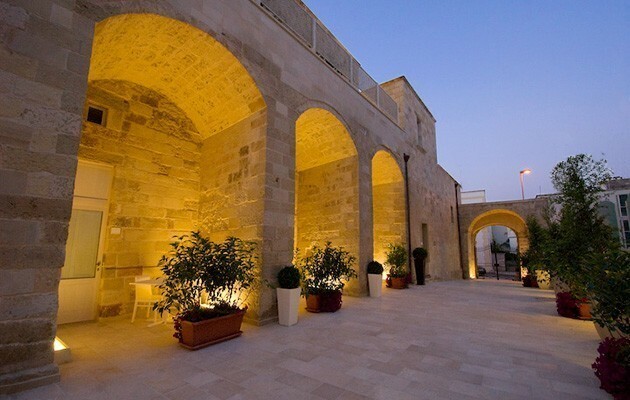 The Masseria of the sixteenth century has been restored to its former splendor and converted into a cozy 4-star hotel in the heart of Salento. 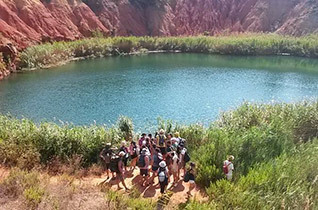 The Hotel San Giuseppe is the ideal place for a relaxing holiday at the discovery of the region, its natural wonders, food and wine, culture and folklore. 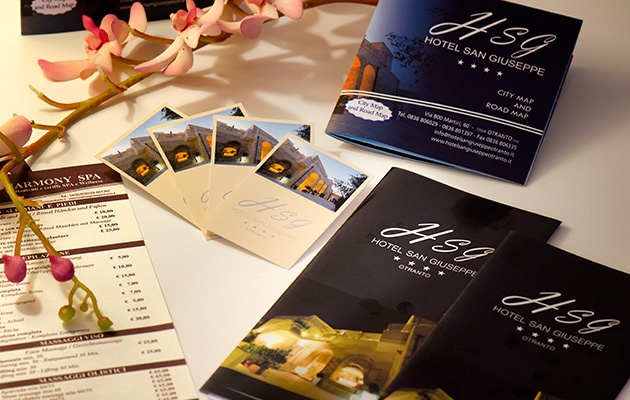 The hotel is composed by 19 rooms, divided into Classic room, Superior room, Economy room and Family room. 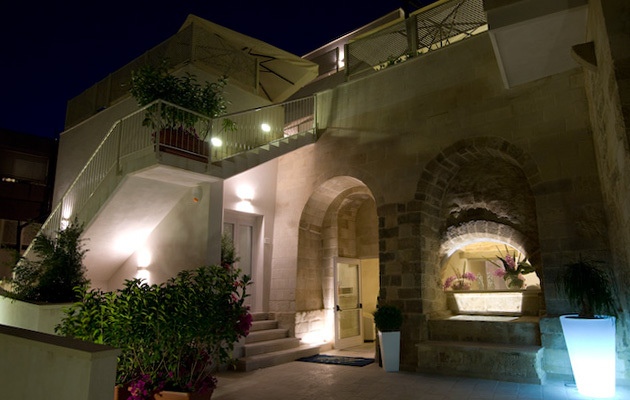 Classic – They are located on the ground floor or the first floor, in both the new part and the oldest part of the hotel. They overlook the courtyard and have a private bathroom with shower. These rooms do not have a window but only a French door. 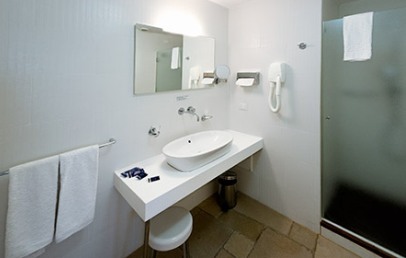 Superior – They are located in both the new part and the oldest part of the hotel. 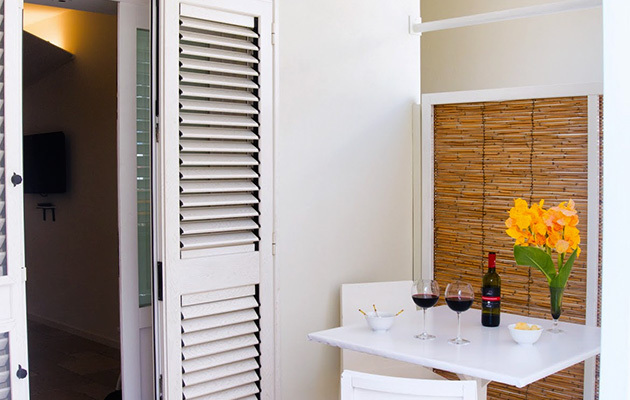 They overlook the courtyard and have a private bathroom with shower and private veranda. These rooms do not have a window but only a French door, except the ones in the old part (that have neither one nor the other). 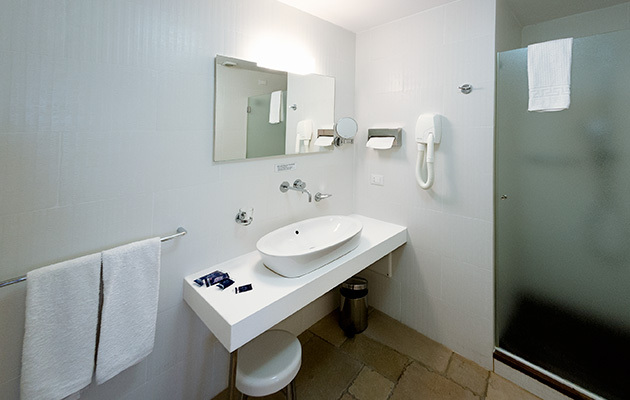 Economy – They are located on the third floor of the hotel. They overlook the courtyard and have a private bathroom with shower. These rooms do not have a window but only a French door. 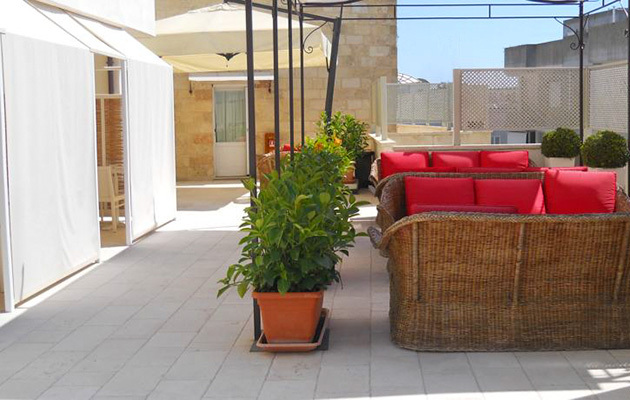 Family – It is located in the most ancient area of the hotel. It overlooks the courtyard and has a private bathroom with shower. 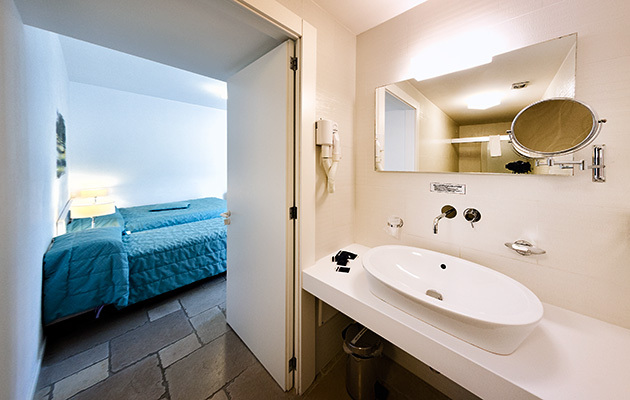 The room can accommodate maximum 4 people. 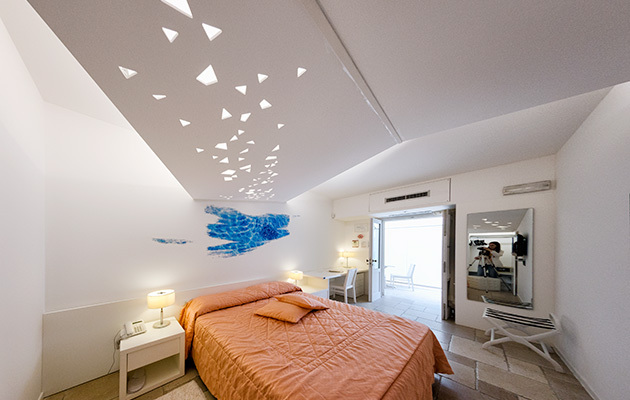 All rooms have Wi-Fi connection. 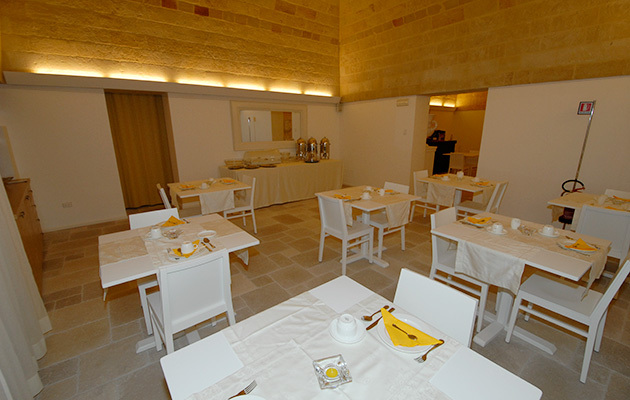 The hotel does not have a restaurant for lunch and dinner; however, it is pleased to welcome guests for breakfast in the great room with vaulted ceilings, realized in one of the oldest areas of the building. Near the hotel there are many restaurants where guests can taste the local specialties. 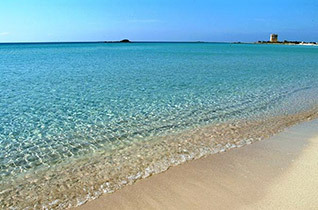 The staff is glad to suggest the best places to visit during your stay at the Hotel San Giuseppe. 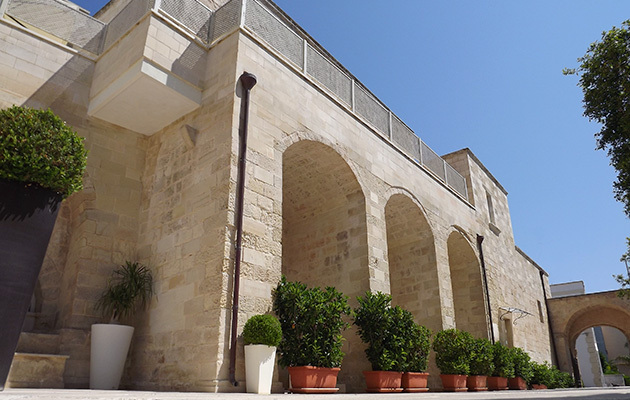 The hotel offers a internal car parking (guarded) for € 10,00 per night/car, upon availability or a parking area (guarded) at 150 m from the building for € 3,00 per night/car (€ 5,00 in august). 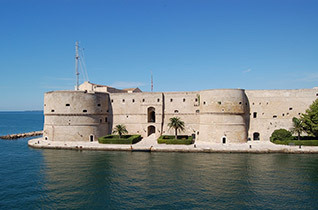 Tourist tax – The municipality of Otranto requires the payment of a tourist tax of € 2,00 per person/overnight valid during April/Mai/June and September and € 3,00 per person/overnight valid during July and August. Children under 12 years are exempted and the tax has to be paid on spot. The tax is valid for the first 7 nights of stay. Check-in from 3 p.m. to 11 p.m.
Check-out from 7 a.m. to 10:30 a.m.
Late Check-out – on request with a supplement. Not possible in july/august. Breakfast – 7.30 a.m. to 10.30 a.m. 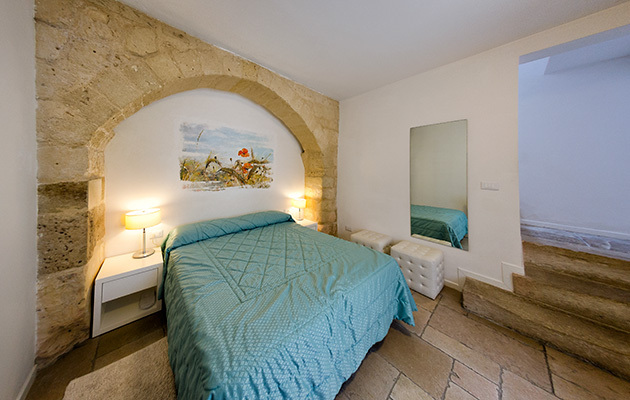 Double rooms with bed resting on a wooden base, located on the ground floor or on the first floor, in both the new and in the most ancient area of the building. 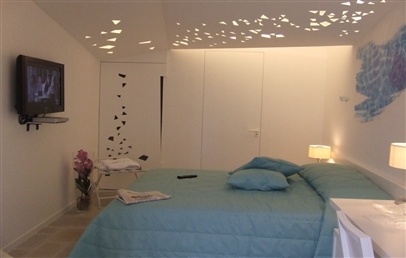 They are furnished in modern style and have bathroom with spacious shower. They overlook the inner courtyard. Internet connection available. These rooms do not have a window but only a French door. 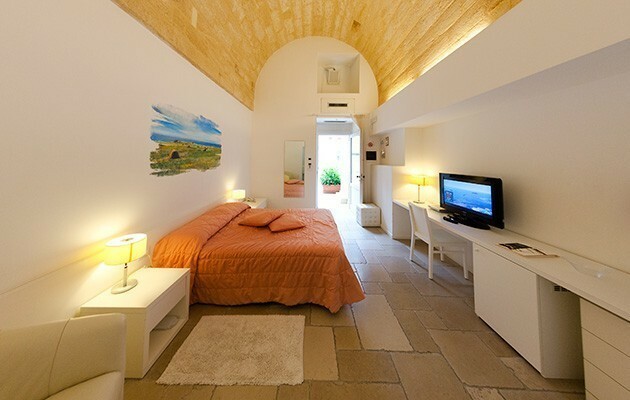 Double rooms with bed resting on a wooden base, located in both the new and in the most ancient area of the building. The additional bed is similar to the main bed. 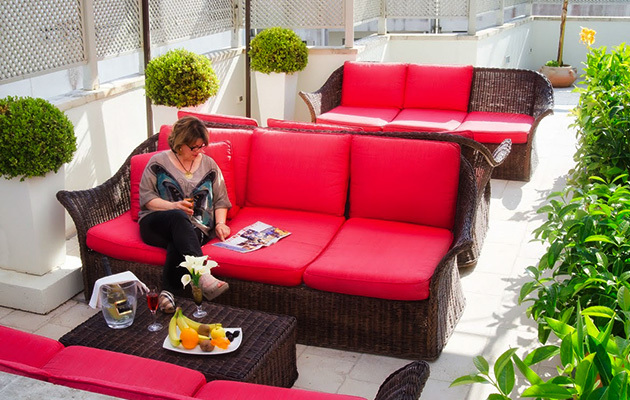 They are furnished in modern style; bathroom with spacious shower and a private veranda with gazebo. 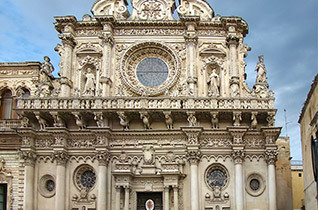 They overlook the inner courtyard. Internet connection available. These rooms do not have a window but only a French door, except the ones in the old part (that have neither one nor the other). 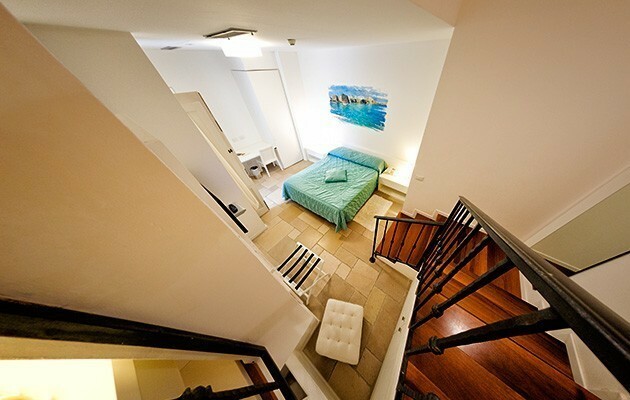 Double rooms with bed resting on a wooden base, located on the third floor of the hotel. 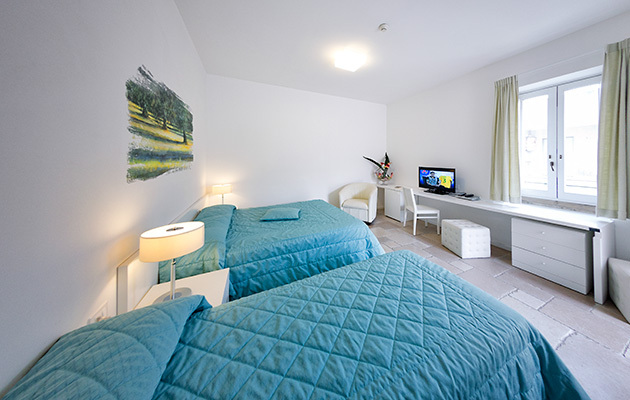 They are furnished in modern style and have bathroom with spacious shower. 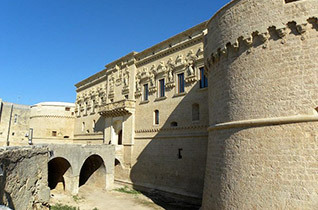 They overlook the inner courtyard. Internet connection available. These rooms do not have a window but only a French door. 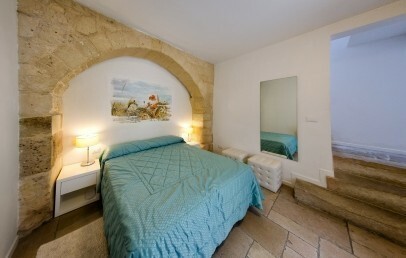 Double rooms with bed resting on a wooden base, located in the most ancient area of the building. The additional bed is similar to the main bed. 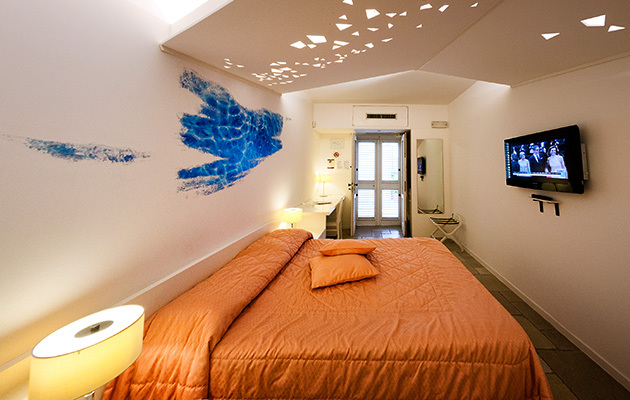 The rooms are furnished in modern style and have bathroom with spacious shower. 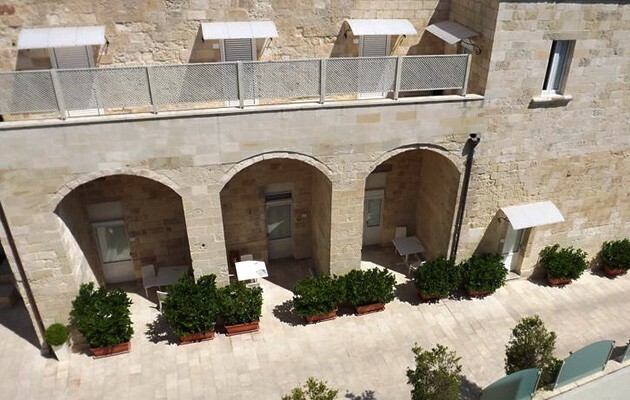 They overlook the inner courtyard and accommodate maximum 3 people.